From hourly weather forecasts to comprehensive 10 Day Outlooks. Detailed, site specific and fully customized to fit your operational needs and concerns. No more false alarms - just accurate, actionable severe weather information! Detailed, site specific and fully customized to fit your operational needs and concerns. 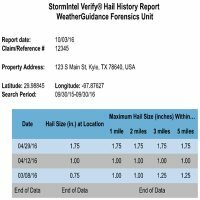 Detailed, street level mapping of hail & wind damage events for the storm damage restoration industry. Address specific severe weather verification for insurance. Detailed, street level mapping of hail & wind damage events for the storm damage restoration industry. 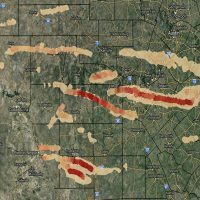 Address specific severe weather verification and historical data for insurance. Some people are weather wise, but most are otherwise..."
Weather information, forecasts and storm warnings prepared by the National Weather Service and disseminated by local media and the internet generally serve the public quite well, but they are typically not specific enough to meet the demands of most weather sensitive industries. That's where we come in. 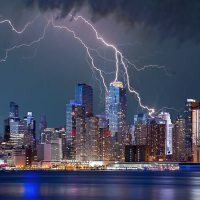 Our professional staff members have been providing highly customized, site specific weather reports, forecasts and storm warnings for a variety of industries across the U.S. for over 25 years. 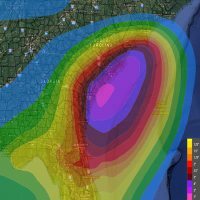 We also specialize in developing and carrying out custom weather data analysis techniques with extensive applications to the insurance and storm damage restoration industries across the United States, Canada and Mexico. With a firm committment to understanding your specific weather related needs and concerns, we are confident that we can help your organization become weather wise today! "I just can't believe how accurate you guys are..." -Earl Studdard, NCFDFC (SiteWarn). "We could not possibly go without your services..." -Cheryl Bailey, Yellow Umbrella Events (SiteWarn).